In April of this year the Journal of Sports Medicine and Physical Fitness published - Effects of drop set resistance training on acute stress indicators and long-term muscle hypertrophy and strength. The findings were..."Superior muscle gains might be achieved with a single set of DS (drop set) compared to 3 sets of conventional RT (resistance training), probably due to higher stress experienced in the DS protocol." Drop-sets are done in numerous ways, in general it is a simple technique whereby you perform a set of an exercise and then reduce or 'drop' the weight and continue for more repetitions with less poundage or greater leverage. There are many many methods how drop-sets are accomplished; stripping of weight from a barbell, quickly grabbing lighter and lighter dumbbells, changing pin settings on selectorized machines, continually changing grip or stance during an exercise, changing the range of motion and more. 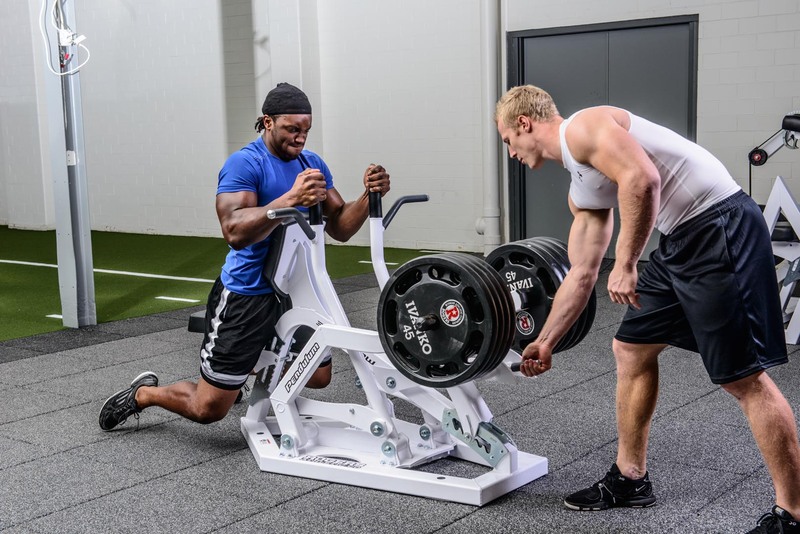 The Pendulum 'Set Extension Technology" is an ideal training method especially for in-season reduced training time and obtaining the desired results in a shorter interval. With an athletes normal weight, the spotter simply changes range of motion once the athlete cannot finish a repetition. All Pendulum strength machines with their 'S.E.T. Extension System' are made to simply and quickly change the length of movement. A Drop-set on the Pendulum strength equipment is an easy and efficient way to Get Strong. Call or 'drop-in' at the Pendulum showroom in Clare, Michigan to find out about or try out the Rogers Athlete strength equipment.